2D Cartoon Mobile Game UI Pack – cartoon user interface asset pack. It comes as a layered psd file. 420 Pixel Art Icons for RPGs – Set of 420 RPG icons, free for commercial use. CGTextures – A large collection of textures. GameDev Market – a community-driven marketplace that connects indie game developers with talented asset creators. Games-Icons Set – free icons for your games. Gunpoint-3D – specialized resource dedicated to armored military weapons, the modern and used in world wars. Iconmonstr – Another free icons resource for your games. OpenClipart – Collection of free cliparts. OpenGameArt – a media repository intended for use with free software game projects. Openstock Project – Modern 2D vector style game assets for indie developers, students, hobbyists & professionals – free personal & commercial licences. Reiner’s Tilesets – A blog with free 2D and 3D graphics. Sketchfab – Publish & embed interactive 3D models. SpriteLib – a collection of static and animated graphic objects (also commonly known as sprites). Tree Generator – An Online tree generator. Upando – Marketplace with lots of resources for game developers. Vecteezy – Free Vector Art. Yobi3D – Free 3D model search engine. Aseprite – animated sprite editor & pixel art tool. GraphicsGale – Animation graphic editor easy to use. PiskelApp – Free Online Pixel Art and Animated Sprite Tool. PyxelEdit – Pixel art editor designed to make it fun and easy to make tilesets, levels and animations. ShoeBox – ShoeBox is a free Adobe Air based app for Windows and Mac OSX with game and ui related tools. Each tool uses a drag and drop – or clipbord interaction for a quick workflow. TexturePacker – Great spritesheet creation editor. Kraken.io – robust, ultra-fast image optimizer and compressor with best-in-class algorithms. PNGoo – Windows GUI for batch conversion. Pngyu – simple PNG image file compression tool. TinyPNG – Advanced lossy compression for PNG images that preserves full alpha transparency. FilterForge – A plugin for Adobe Photoshop that allows you to build your own filters. PixPlant – PixPlant is a smart 3D texturing tool that creates high quality normal, displacement, specular maps and seamless textures from photos. STG – a tool for creating professional seamlessly-tileable textures from photographs quickly and easily. Charas – Charas is a charset generator for RPG Maker. Famistu Chibi Maker – A tool to make the famous chibi chars and use in your game. ArrayPainter – Array Painter is the easiest and fastest way to make 2D arrays ready for copy pasting into your own program. AutoTileGen – AutoTileGen is an automatic tileset generator for 2D game terrains. OGMO Editor – generic level editor. Mappy – Free tilemap editor. Tiled – free, easy to use and flexible tile map editor. Fusion Character Animator – small tool for Clickteam Fusion 2.5 to facilitate the animation of 2D character sprites for developers. Spine – Spine is dedicated to 2D animation, providing an efficient workflow both for creating amazing animation and for integrating it into your games. Spriter – Modern tool for sprite animation. Gimp – GNU Image Manipulation Program. It is a freely distributed piece of software for such tasks as photo retouching, image composition and image authoring. Inkscape – An open-source vector graphics editor similar to Adobe Illustrator, Corel Draw, Freehand, or Xara X.
Krita – Krita is a KDE program for sketching and painting, offering an end-to-end solution for creating digital painting files from scratch by masters. Ormr – Ormr is a fast, light-weight, cross-platform procedural graphics editor. Paint.NET – Paint.NET is free image and photo editing software for PCs that run Windows. Pickle – Another Pixel art Editor. Agen – Cross-Platform framework for making 2D games with Lua, compatible iOS, Mac and Windows devices. Allegro – Allegro 4 & 5 are cross-platform, open source, game programming libraries, primarily for C and C++ developers. Bacon2D – A framework to ease 2D game development, providing ready-to-use QML elements representing basic game entities needed by most of games. Box2D – A 2D Physics Engine for Games. Chipmunk C# – C# implementation of the Chipmunk2D lib. Chipmunk2D – A fast and lightweight 2D game physics library. Cocos2d-x – a C++ OpenGL 2D and 3D game engine. Uses C++ but has JS and Lua bindings. Target all the major mobile platforms and operating systems. Additional tools CocoStudio and Cocos Code IDE. Corona SDK – A Cross-Platform Mobile App Development for iOS and Android. CutJS – Lightweight, fast, interactable 2D HTML5 rendering engine for cross-platform game development. Duality – C# / OpenGL 2D Game Engine that comes with visual editor. ENGi – A multi-platform 2D game library for Go. Farseer – a collision detection system with realistic physics responses. Flixel – an open source game-making written in ActionScript3. GameMaker – GameMaker accommodates the creation of cross-platform video games using drag and drop or a scripting language known as Game Maker Language, which can be used to develop more advanced games that could not be created just by using the drag and drop features. GameSalad – Game Creation Engine for Mac and Windows. 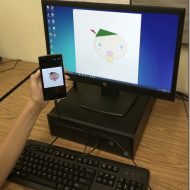 Gideros – A Cross-Platform framework to create Mobile Apps and games for iOS, Android using Lua programming language. HaxeFlixel – Create cross-platform games easier and free. Jitter – a fast and lightweight physics engine written in C#. LibGDX – Powerful (totally free) library for Java, code once and run the game on desktop, Android, Web, and iOS. Loom SDK – 2D mobile app and game framework with live reload of code and assets, AS3/JS/C#-like scripting language, and powerful 2D rendering and UI framework. Open source with paid "Turbo" service. LÖVE – Lua 2D Game Engine. MOAI – Cross-Platform framework designed for pro game developers to create iOS, Android, Windows, Linux, Chrome and OSX games using C++, OpenGL and Lua scripting. MelonJS – open source light-weight HTML5 game engine. Monkey X – Multi-platform programming language and cross-compiler, aimed at fast game programming. Monogame – Open Source implementation of the Microsoft XNA 4 Framework. NodeBox – a family of Python tools to create generative design. PandaJS – Open Source HTML5 Engine. Phaser – free and fast 2D game framework for making HTML5 games for desktop and mobile web browsers, supporting Canvas and WebGL rendering. PixiJS – is a newcomer HTML5 game renderer – first released in early 2013. A main appeal of the engine is its use of WebGL for faster performance. If WebGL isn’t supported, the engine falls back to standard canvas. Processing – Processing is a programming language, development environment for artists, designers, researchers. PyGame – a 2D game engine in Python. Rpgboss – A 2d rpg game engine and editor based on scala and libgdx. Ease of use, with no programming knowledge. RPGMaker – series of programs for the development of role-playing games. SDL – SDL is a cross-platform library designed to provide low level access to audio, keyboard, mouse, joystick, and graphics hardware via OpenGL and Direct3D. SpriteKit – iOS/Mac 2D Game Engine. Stencyl – a game creation platform that allows users to create 2D video games for computers, mobile devices, and the web. XNA – Microsoft’s game development framework. Bullet – Real-time physics simulation. Cinder – Cinder is a community-developed, free and open source library for professional-quality creative coding in C++. Dash – A free and open 3D game engine written in D.
Godot – Open source game engine with rich API. Havok Vision – a cross-platform game engine that provides a powerful and versatile multi-platform runtime technology. Haxor – Combine the power of HaXe language and HTML5+WebGL to easily develop powerful applications that can run in any modern browser. Hive3D – Real Time Collaboration 3D engine. Horde3D – small open source 3D rendering engine. Irrlicht – open source high performance realtime 3D engine written in C++. JPCT – jPCT is a 3D engine for desktop Java and Google’s Android. ODE – ODE is an open source, high performance library for simulating rigid body dynamics. Ogre3D – is a scene-oriented, real-time, flexible 3D rendering engine (as opposed to a game engine) written in C++. Panda3D – a framework for 3D rendering and game development for Python and C++ programs. PlayCanvas – A WebGL Game Engine. Polycode – Open-Source Framework for creating games in C++ (with Lua bindings). Spring – A powerful free cross-platform RTS engine. Turbulenz – Turbulenz offers the ability to build, publish, iterate and monetise high-quality games that react like no others, with immersive 3D effects and real-time physics that open up a whole new world of unprecedented and extraordinary web content. UDK – the game engine technology developed by Epic Games. Unity 3D – A development engine for the creation of 2D and 3D games and interactive content. Urho3D – Cross-platform rendering and game engine. jMonkeyEngine 3 – a 3D open-source game engine for adventurous Java developers. voxel.js – voxel.js is a collection of projects that make it easier than ever to create 3D voxel games like Minecraft all in the browser. Freesound – collaborative database of Creative Commons Licensed sounds. Musopen – Royalty free music. Octave – free library of UI sounds. PacDV – royalty free sounds collection. Audacity – open source, cross-platform software for recording and editing sounds. Audiosauna – transforms your web browser into a fast and flexible music production studio with built in synthesizers and live effects. Audiotool – Online music producer. Bfxr – A tool to make make sound effects for computer games. FamiTracker – free windows tracker for producing music for the NES/Famicom-systems. MadTracker – a powerful and efficient approach to making music. Versatility and compatibility are guaranteed due to full VST™, ASIO™ and ReWire™ support. MilkyTracker – open source, multi-platform music application for creating .MOD and .XM module files. Soundation – Online Professional music studio. iNudge – Create sound patterns online. Boardgamizer – Board Game Design Idea Generator. RPTools – a brand of open-source programs designed to enhance traditional pen-and-paper role playing games. CompoHub – A compilation site of many game jams in a timeline.